Over the winter holiday we spent some time touring Israel and then on the way home we stopped in Athens for a long weekend. Not satisfied with our Cretan beach holiday six months prior, we thought we'd give Athens a go. 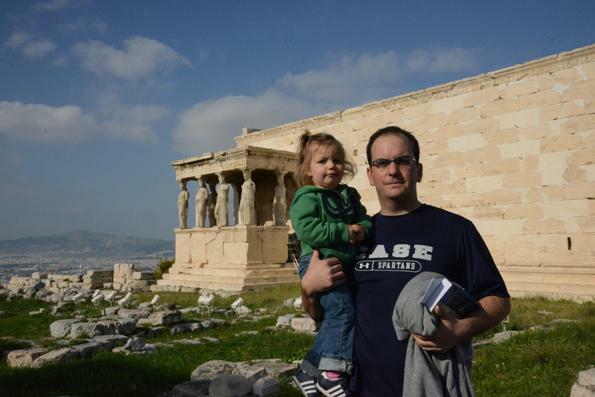 The timing didn't work out during our trip to Crete to stop over in Athens so we made it work after our trip to Israel. We ended up spending 3 days in the old city and we had a good time, but were tired by the end. Our itinerary was pretty simple. We just took a taxi from the airport to our apartment and then walked around for a few days. As you'll see our apartment was at the base of the Acropolis and enabled us to really see the touristy core in a few days hauling around the kids. It was really perfect, and the weather in January accommodated, which was fortunate. Our general impression of the city was extremely favorable. Everything was accessible and the people loved the kids. I guess it wasn't as chaotic as I expected, and we had a good time. 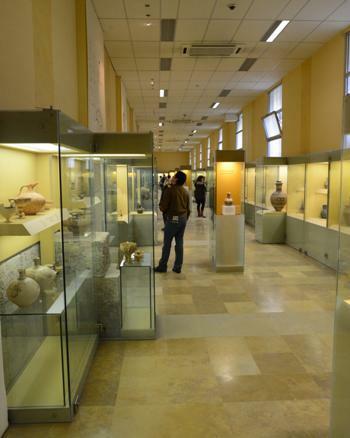 However, much of the really amazing Greek statues, mosaics, etc are located in museums in other countries. What remains only serves to give an impression of what things once were. We are thoroughly glad we went, but have no strong desire to return. 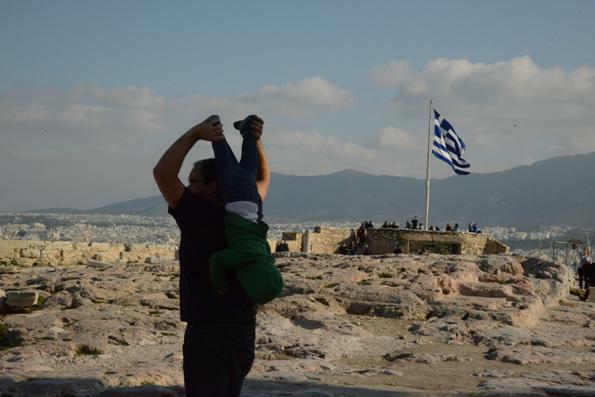 Maybe to one of the other islands for some more history and beaches, but Athens? 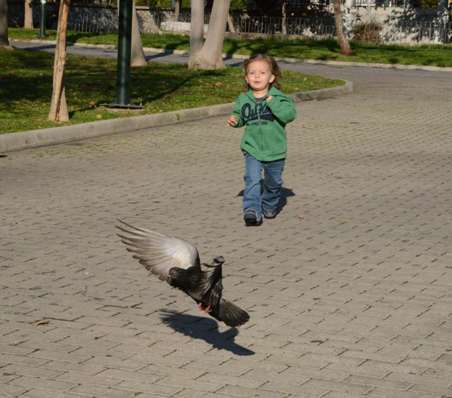 Been there, done that! 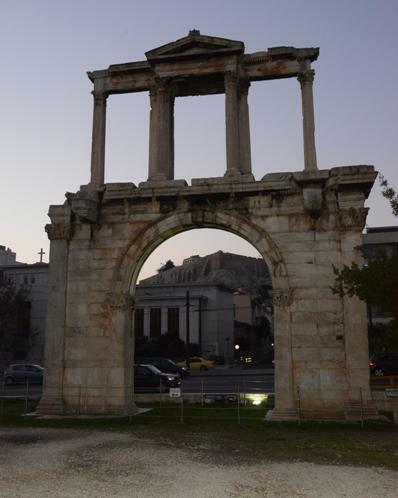 For full resolution photos from the trip to Athens click here. You can also read our trip diary from Israel here. The rental apartment and our hosts made the vacation. We found the place on AirBnB, and it is the only stay I've provided public feedback for. Our host, Costas, rents out family homes, and he was extremely helpful and accommodating. I believe this was his aunt's place in Athens, but most of their properties are on the island of Kea. You can read Costas' blog here. He provided a short mini guide of things around the apartment and showed us around a bit the first day. Top rate! The apartment itself was huge, modern and very well located. 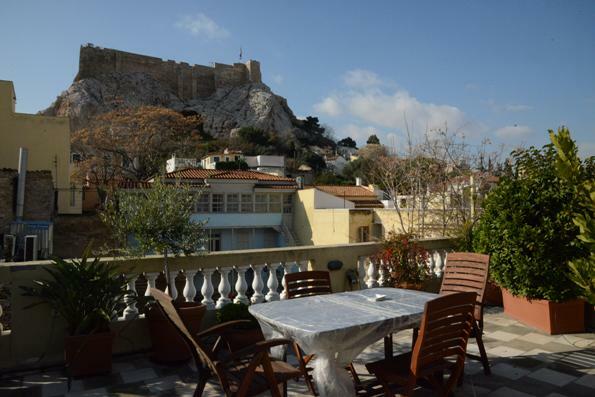 The roof top terrace afforded a nice view of the Acropolis and was in an area with lots of restaurants and shopping. 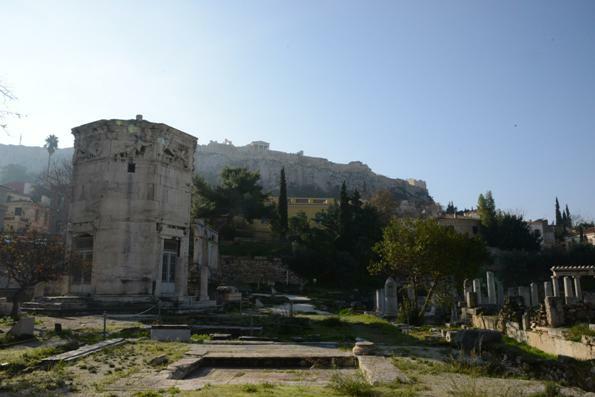 It was a short 5 minute walk to the main pedestrian way to the Acropolis entrance. Be sure to check out the hi-res photos here. We had woken up crazy early for our flight from Tel Aviv to Athens. 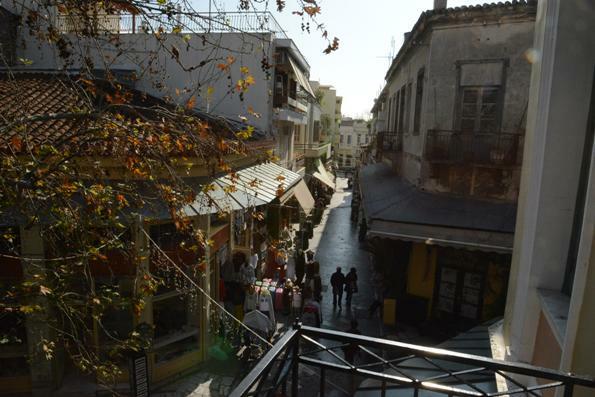 Once we got settled into the place Costas took us on the subway to the Byzantine & Christian Museum. 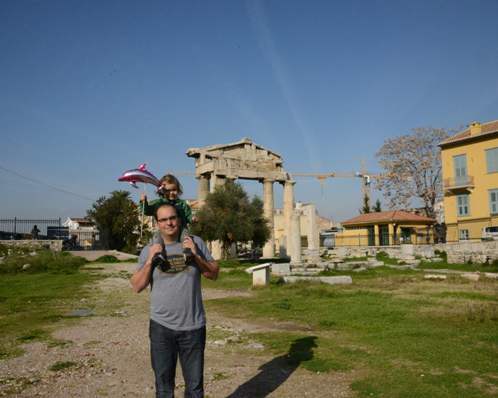 However, we were tired and just hung out in the park next to the Evangelismos subway station and museum for a bit. Even though Erynn and I were beat, Greta still had the energy to chase some pigeons! 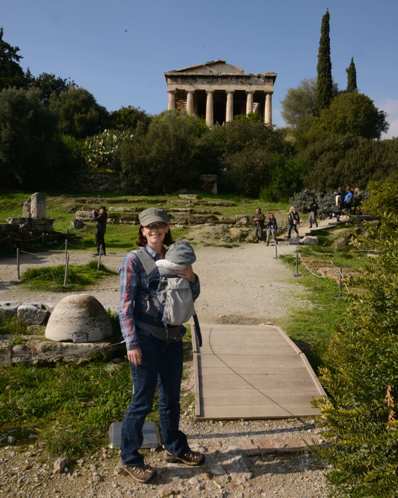 As Costas said the tourists all head straight for the marbles and often bypass some of the real gems of the city. 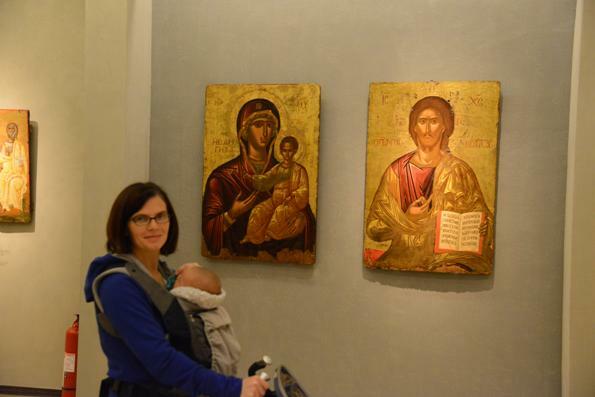 His favorite museum is the Byzantine & Christian Museum, and it was nearly empty and didn't disappoint. 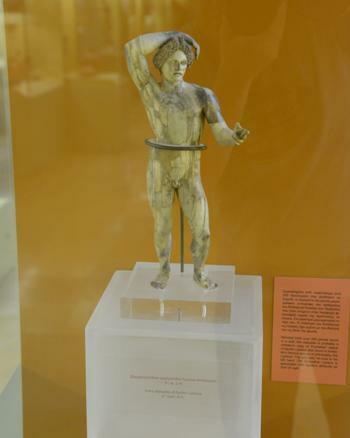 It contained an astonishing amount of artwork and relics from Greece. Next to the museum was the War Museum, but we gave it a pass and just headed back to the apartment to crash and re-group. 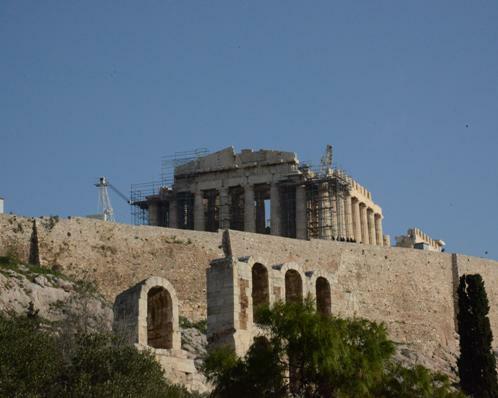 The target of our first full day in Athens was the Acropolis. From the apartment we essentially circumnavigated the entire hill looking for the entrance. For some reason it was clearly marked, but in the end we just went toward all of the tour buses. 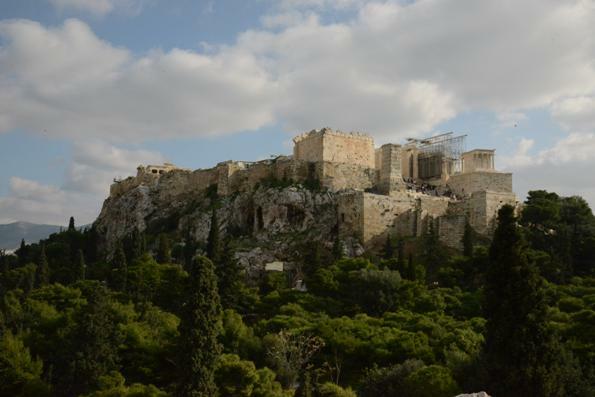 The good thing about the long walk was that we got some nice views of the Acropolis. 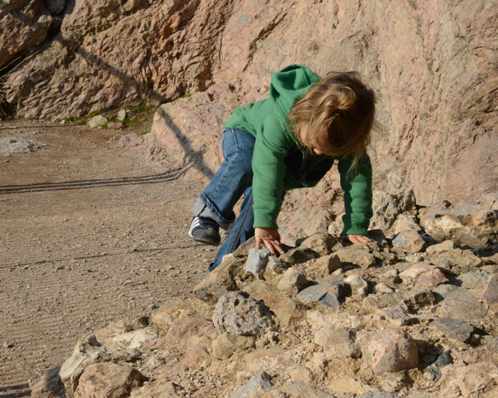 Our little rock climber, Greta, was having a difficult time. 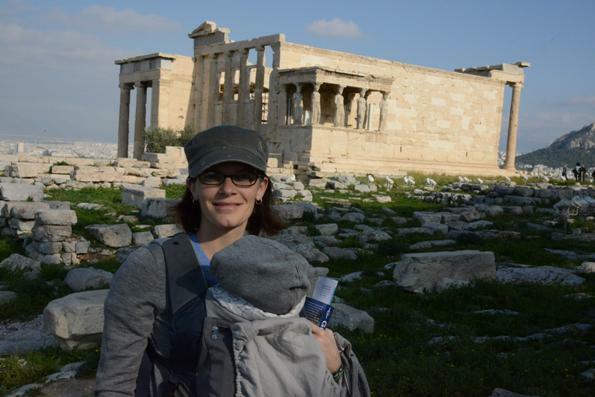 She was not as awed by the Acropolis and Parthenon as us. Probably due to lack of sleep since we did push the kids pretty hard on this trip. So she got to see some of it upside down. It did the trick and she calmed down a bit so that we could take some family photos. 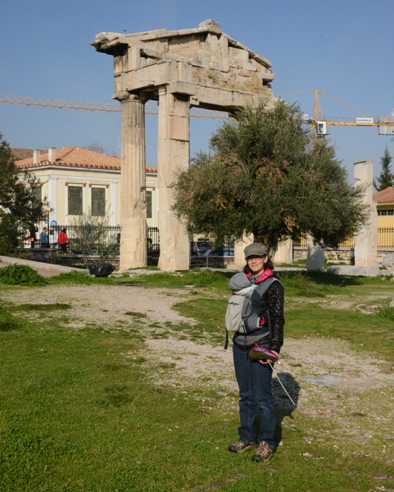 The first photo post-meltdown in front of the Porch of the Caryatids. JB was much more into the experience. 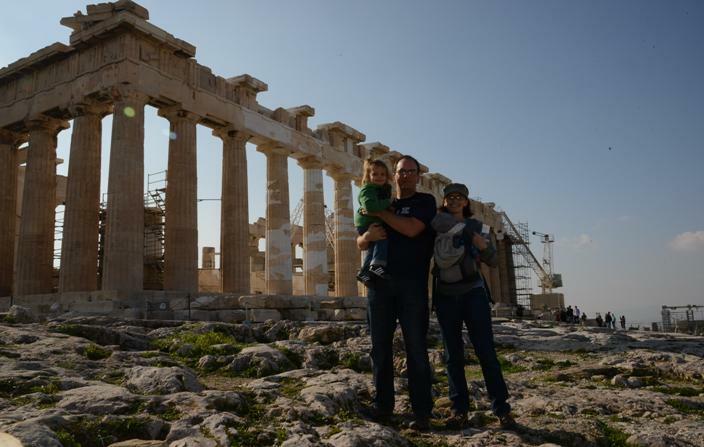 The Rathburns in front of the Parthenon. The Acropolis did afford some amazing views of the city. 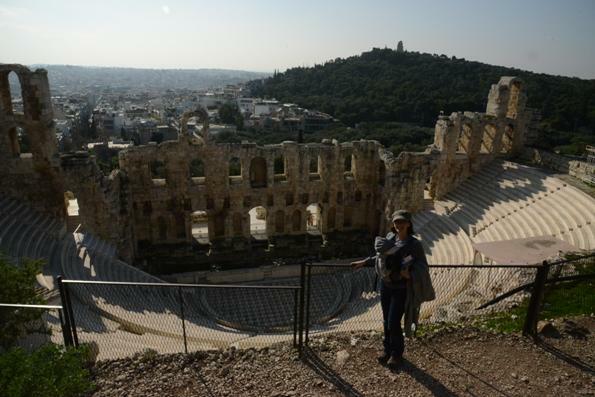 In the left photo is the Odeon of Herodes Atticus. 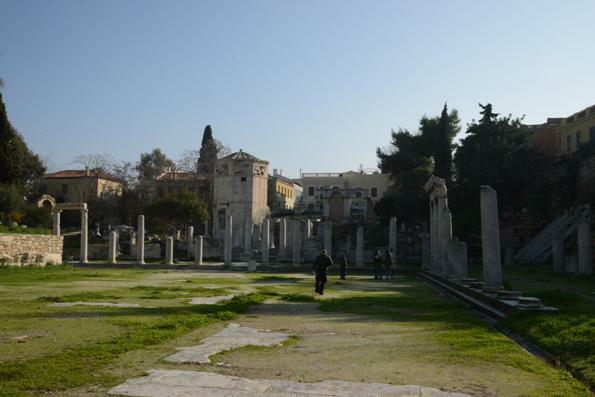 The right photo is the Ancient Agora. 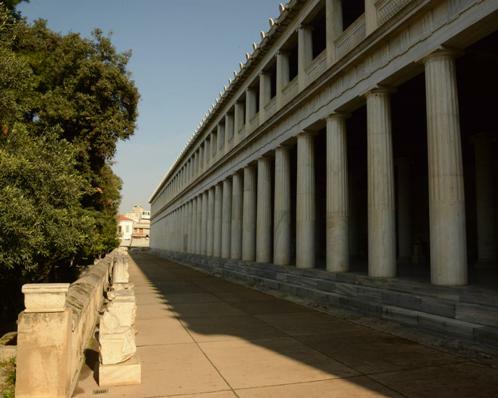 We gave the Acropolis Museum a pass. The kids were tired and Costas didn't recommend it. 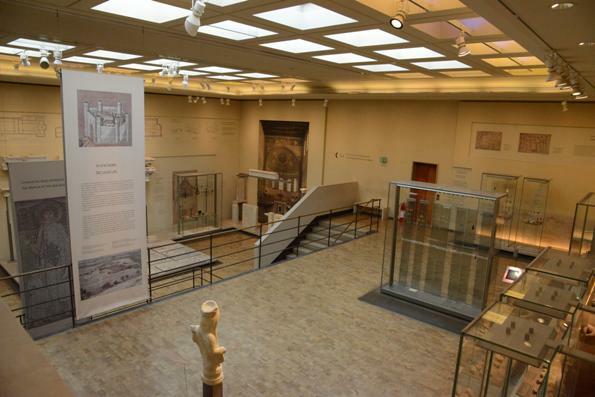 Plus, if you want to see cool things like the Parthenon Frieze you'd need to go to the British Museum anyway. 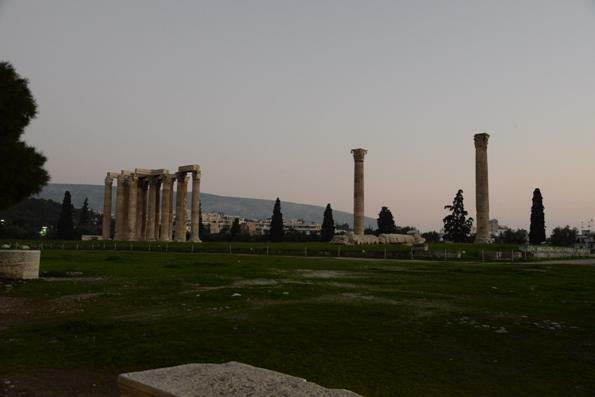 After the kid's afternoon nap we walked a few blocks from our apartment to see Hadrian's Arch (left photo) and the Temple of Olympian Zeus (right photo). 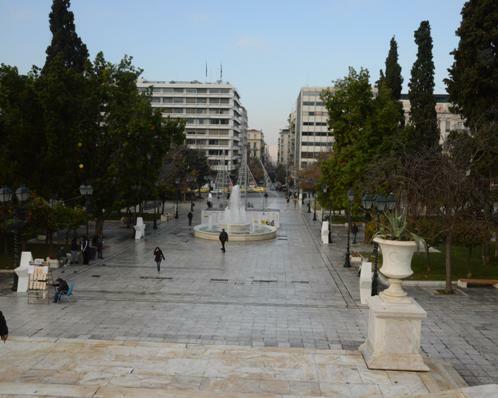 The last day in town was Agora day. 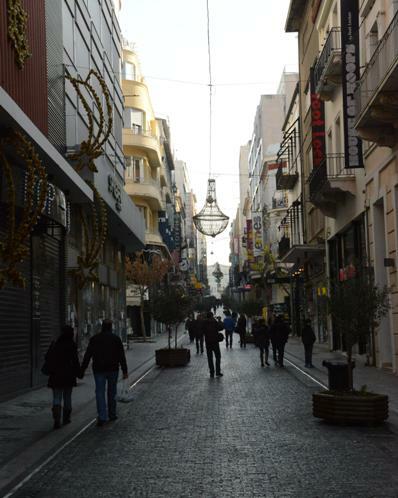 We hit both the Roman and Ancient Agoras while just strolling around the city. It was a nice day out that started at the Parliament Square. Fortunately, the square had a number of street vendors that allowed us to ply our child with a donut and a pink dolphin balloon! 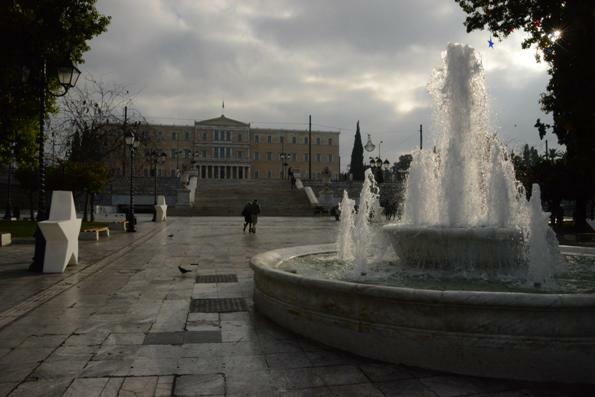 Leading from the Parliament building is the main shopping street in Athens, Ermou Street. 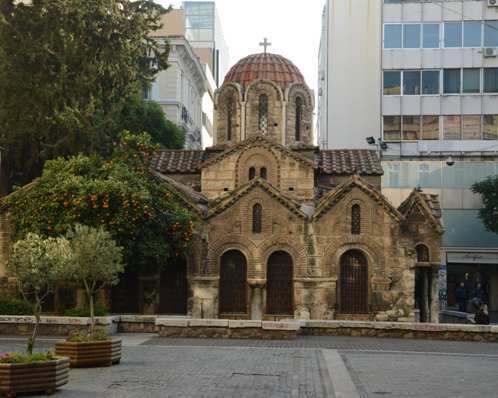 Smack in the middle is the Church of Panaghia Kapnikarea, which is Greek Orthodox and one of the oldest in Athens. 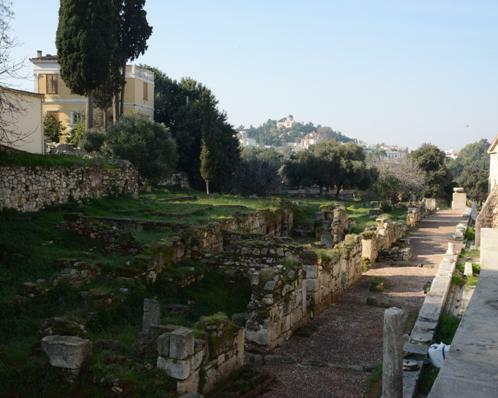 Our first ancient ruin of the day was the Roman Agora. The octagonal building is the Tower of the Winds that contained sundials, a water clock, and a wind vane to help keep track of time. 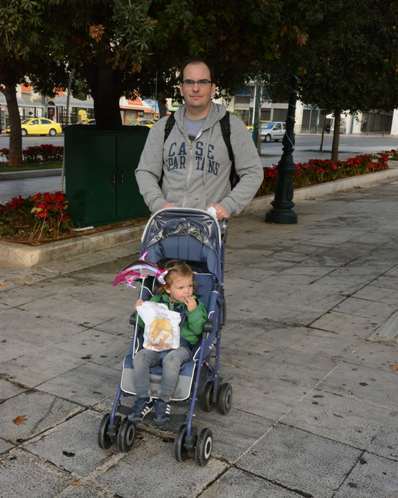 Here we are in front of the Gate of Athena Archegetis. 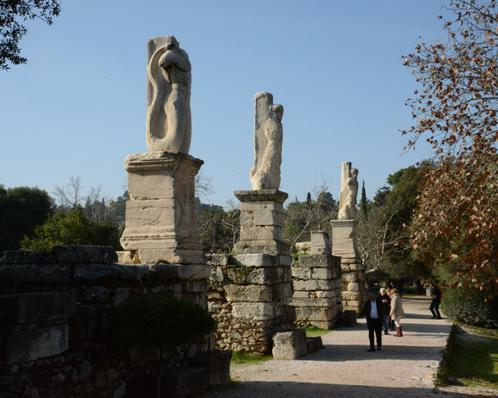 Our last major site of our trip was the Ancient Agora. It feels like a big park with a bunch of marble strewn about. 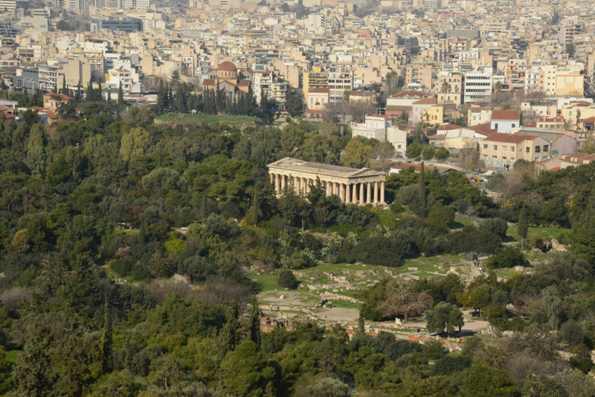 The two main focal points are the Stoa of Attalos and Temple of Hephaestus. 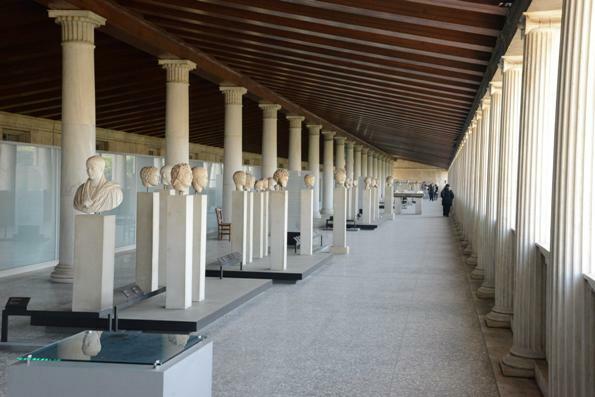 The Stoa of Attalos now is a modern reconstruction (1950s) of the original that serves as a museum for the site. It has a number of indoor and outdoor exhibits covering two floors. Here are some of the interior exhibits. 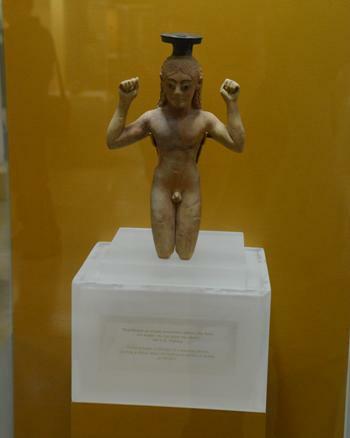 The middle photo is an Ivory Statuette of Apollo Lykeios, and the right photo is a perfume bottle. The two artifacts featured in all of the museum advertising so I thought I should have a picture too. 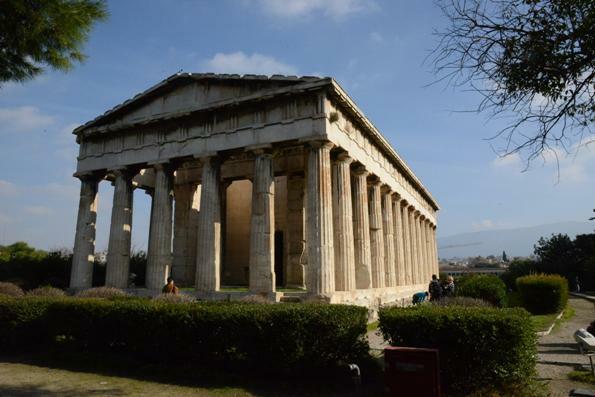 Overlooking the entire agora is the Temple of Hephaestus. It was a bit difficult getting the stroller up the hill, but it was worth it. Definitely a highlight. 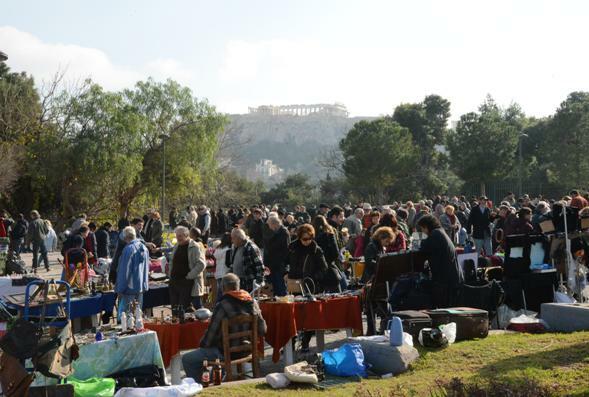 After the Ancient Agora we walked around the west side of the Acropolis through the Sunday Flea Market. It was a huge ocean of people and street vendors. Extremely interesting people watching. From there we headed back to the apartment, had dinner and then rested up for our trip home the next morning. All in all a fun weekend!